Distaff&Spindle profits from 2011 until 2017 have been directed primarily towards the families and individuals with whom we were in direct, daily contact; investing in quality medical help and paying for school fees and supplies for children. Onja and her daughter Evah, who received treatment for club-foot, financed by profits from Distaff sales. Evah is now able to walk and run because of this life changing gift! Many children in Madagascar are not able to attend school because their families simply cannot afford the tuition or, sometimes, just the cost of the school supplies that are needed. While it may sound small, it has been delightfully fulfilling to watch the trickle down effect of educational investments have had on the individuals, their families, and the communities in which they are already contributing. A child enabled to attend a good school, with pens and supplies that actually work, is never something I’m hesitant to invest in. Good education has the power to change lives in a compounding way. Education is already, and will continue to, improve the quality of life for the individuals, families and their communities who receive this resource. Three of the children Distaff&Spindle helped send to school. The two beautiful women on either side of me in the photo above are the women with whom and for whom Distaff&Spindle was originally formed. Their names are Fanja (pronounced ‘Fan-za’) and Irene (pronounced ‘Ee-wren’). We met when they began to work in my home where they cleaned my house and cared for my children and I could provide them with a good salary with which they could support their families. Both women have 4 children in their care. When I departed Madagascar I was very intentional about finding good employment for the people who had been in my employ for so many years. I am so thankful to the families who took them into their homes and gave them living-wage employment. These families also agreed to continue the investment in the education of their worker’s children. We felt that passing on this responsibility to those who were still living in country and were in direct and daily contact with them would make the support structure more sustainable. Distaff has committed to helping out with this as there are special needs or a gap in employment. It is my hope that these dear women and their children will continue to be supported by the families they work for. In my experience, it’s a win-win relationship!! 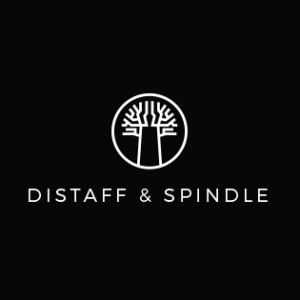 You can read more about the Beneficiaries of Distaff&Spindle from its inception in 2011 until 2017 by clicking here. These are inspiring stories of resilience and the power of investment, if i do say so myself. Being able to see the growth of these financial seeds we planted years ago is definitely one of the many things I miss now that we no longer live in Madagascar!! These lives are forever changed because of your purchases from Distaff&Spindle! Growing the Nations Therapy Programs, who work at helping children with disabilities to improve quality of life. Most recently GTNTP used funds from Distaff&Spindle profits to purchase the supplies necessary to build standing frames for children with MS.
Tana City Church invests Distaff profits into supporting Education for families who cannot afford to pay for school/supplies themselves. These families are known and carefully screened by Malagasy leaders within the church. Both these groups are led by people Josh and I know personally and in whom we have great confidence. I know that they will use the money wisely for the betterment of the poor, not themselves. I know this because i have lived alongside them for over a decade and seen them put into practice what they proclaim they are doing.